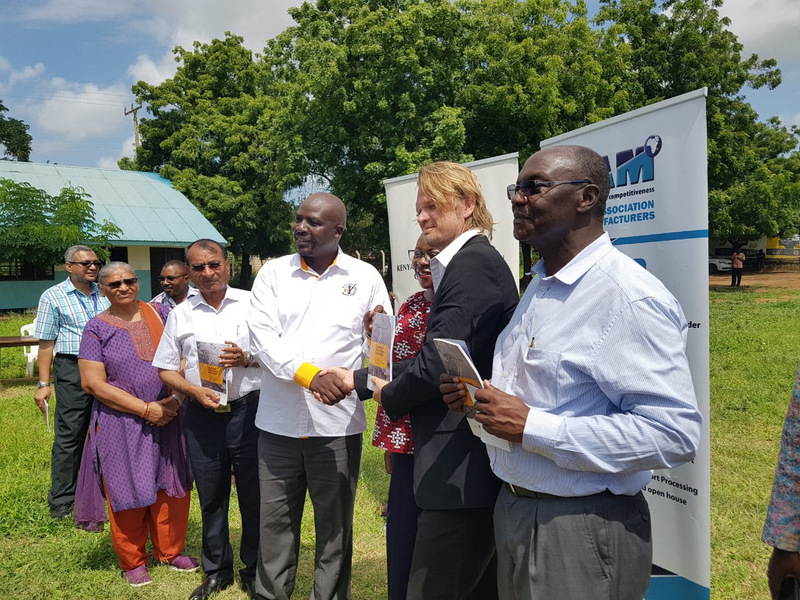 Thursday, 7 June 2018, Gongoni: Kenya Association of Manufacturers (KAM) in partnership with the Kenya National Commission on Human Rights (KNCHR) supported by Global Compact Network Kenya and the Danish Industries launched the Malindi Public Inquiry Audit Report to establish progress on compliance with the Human Rights Principles and Standards by salt manufacturers. Speaking during the event, Global Compact Kenya Board Chair and KAM CEO Ms. Phyllis Wakiaga noted that the single most important function of a well-established manufacturing base for any country is to create social equity, reduce inequality and alleviate poverty. ‘Respect for Human Rights as embedded in international standards and local laws ensures industry contribution to sustainable development is meaningful and lasting. We continue to work with Salt manufacturing companies in our membership through a multi-stakeholder engagement model to ensure industry contribution to human rights and development is both positive and sustainable,’ said Ms. Wakiaga. ‘The Report has demonstrated the different levels of compliance as well as good practices adopted by some companies. Development of tools, both qualitative and quantitative data was collected through inspection of individual companies and interviews with the company Directors and Workers. The report is an opportunity for those companies lagging behind to learn and adopt good practices from fellow salt companies,’ said commissioner Morara. Progress noted from the inquiry includes the formation of the Salt Sub-Sector under the stewardship of KAM and Global Compact Kenya with the general objective of driving self-regulation while maintaining the highest standards of business ethics. By extension, a sector wide company-community dialogue and action process was established to address various contentious issues around land ownership, labour management, security, environmental protection and served as an alternative dispute resolution mechanism. A Corporate Social Responsibility (CSR) community committee was also formed to facilitate participatory approaches in the selection of community social investment projects. This has led to an increase in project ownership while ensuring investments are responsive to communities felt needs. The CSR community committee as right holders have also been trained on various issue areas such as land ownership laws, labour laws, environmental conservation, proposal writing and time management to equip them with knowledge and skills to engage in meaningful dialogue with other stakeholders. 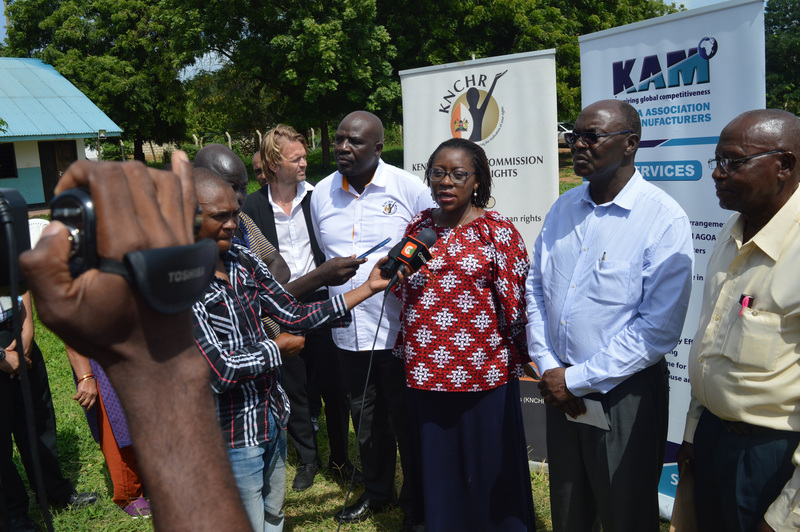 While significant progress has been made by the Salt companies individually and collectively, the report calls on various stakeholders to play their part in addressing long-standing challenges in the Magarini region among which is land ownership which remains a deeply rooted thorny issue and cause of conflict. The UN Global Compact calls on companies to take fundamental steps to respect universal Human Rights principals within their operations and supply chains. This means companies must identify, prevent, mitigate and account for all negative impacts they may have on society and the environment. They must also consider business risks related to each Sustainable Development Goal (SDGs) and adjust their business practices to avoid creating harm which would thereby undermine the SDGs.